What is the Daily Office? We spent all of last year getting a PHD in Leadership from Nehemiah. If you recall, Nehemiah led a group of down and out people to rebuild the exterior wall around Jerusalem. There are no miracles in the book of Nehemiah, just excellent, obstacle-overcoming leadership. This year I want us to focus on building an interior wall – so that no matter what external challenge you race you will be prepared to internally to face that challenge. Hear this parable: There once was a town high in the Alps that straddled the banks of a beautiful stream…. The water was clear like crystal. Children laughed and played beside it and you could see the rocks and the rainbow trout that swarmed at the bottom of the stream. High in the hills, far beyond anyone’s sight, lived an old man who served as Keeper of the Springs. He had been hired so long ago that no one could remember a time when he wasn’t there. He would travel from one spring to another in the hills, removing branches or fallen leaves or debris that might pollute the water. But his work was unseen. One year the town council decided they had better things to do with their money…. They had roads to repair and taxes to collect. Giving money to an unseen stream-cleaner was a luxury they could no longer afford. So the old man left his post. High in the mountains, the springs went untended; twigs and branches and worse muddied the waters. Mud and silt compacted the creek bed; farm waste turned parts of the stream into stagnant bogs. I am suggesting the quality of your leadership will greatly depend on the quality of the stream coming out of your soul. This year I want to hike upstream “to the hills far beyond anyone’s sight” and for you to examine your soul. Fair warning: this is “medaling”. As a Pastor I have learned that many people don’t actually want someone to medal with their souls. They don’t want someone messing with their “interior life.” Instead, they come to me for simple and pain free ways to fix another people or to get out of a current crisis. Why do we resist having an interior life? Answer: It’s dark in there! You’re like an iceberg. They (and sometimes you) can only see 10%. But whats driving you and your people is 90% below the surface. The underside of an iceberg is dark. People would rather not address these deeper issues. This morning I want to take a peak at your interior life using Luke 10:27. Jesus said , “You shall love the Lord your God with all your heart and with all your soul and with all your strength and with all your mind.” As we work through these four, think about your current condition in each of these areas. Proverbs 4:23 – “Above all else, guard your heart, for everything you do flows from it.” Heart is more than emotions. It’s closer to desires or loves. “Too often we picture the ‘mission control’ of a person as their mind …thinking defines who you are. “You are what you think” becomes our motto and human beings are reduced to brains on a stick. However, have you ever found that new information don’t seem to translate into a new way of life. Ever had the experience of hearing an incredibly illuminating sermon on Sunday, waking up with new resolve on Monday and already failing badly by Tuesday? It seems we can’t think our way to holiness. What if instead of starting from the assumption that human beings are primarily thinking things, we started from the conviction that human beings are first and foremost lovers? What if you are defined not by what you know but what you desire? If Smith is right: “You are what you love”, Do you know what you love? Do you have a “preeminent” love, competing loves, disordered loves, secret loves? 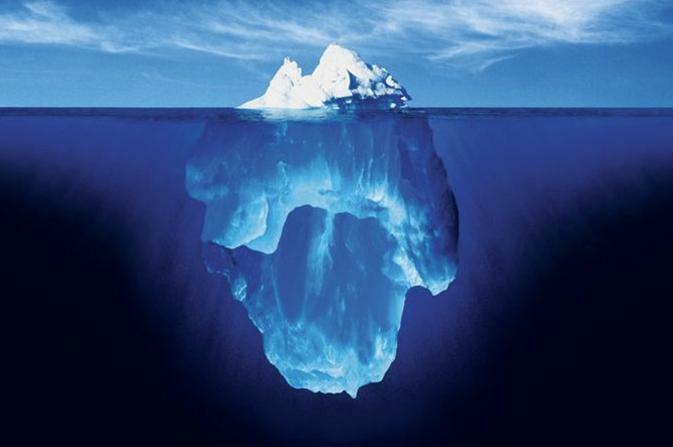 Knowing this helps you identify much of the mass of the iceberg below your surface. This is what motivates you forward. Part of wholeness is having a healthy mind. 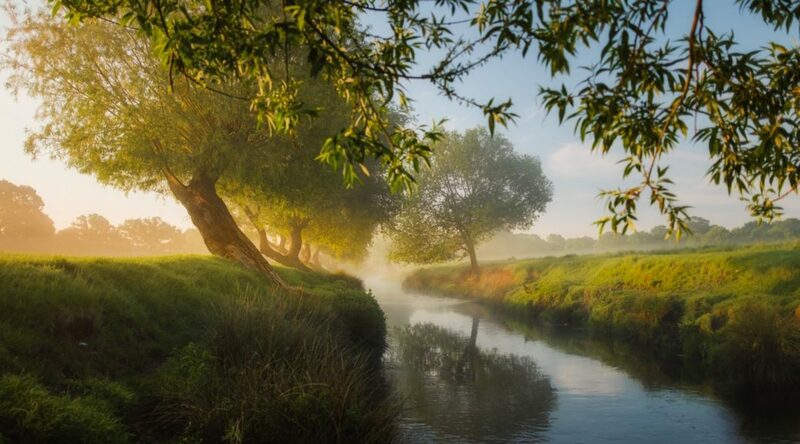 Remember, you are the keeper of the stream. The stream of information you bring into your mind feeds your loves. Would you hire yourself as your mental body guard? Now we are talking about your body. Did you catch that? Your body is the housing for the Holy Spirit. Your eating habits, sleep patterns, exercise, and sabbath rest all effect your stream. Do you understand the influence of your body on your mind and heart and soul? The soul is the operating system of your life. It takes in data from heart, mind, and body and tries to make sense of it. Your soul aims your life in a particular direction. The soul was meant to take aim at God. A healthy soul takes in information and aims it towards God. The problem is Sin. Romans 3:23 says, “For all have sinned and fallen short of the glory of God.” This means we have missed the mark. We aim at something other than God. Notice the very first sin in Genesis 3:6: “When the woman saw the tree was good for food (strength), and that it was a delight to the eyes (heart) and that the tree was to be desired to make one wise (mind) – she took.” Instead of aiming her soul, her everything, at God, she aimed at herself. Because if sin, the soul is erased and replaced with self. So now all of our hungers, thoughts and physical needs are guided by self and aimed at self. As we continue this year of Iron Leadership, we’re going to take a deeper look at our souls and how to rightly orient them toward God. What makes you nervous about examining your interior life? Heart: If we are primarily lovers, if everything flows from the heart rather than the mind, if Smith is right: “You are what you love”- Do you know what you love? Do you have a “preeminent” love – competing loves – disordered loves – secret loves? Knowing this helps you identify much of the mass of the Iceberg – what motivates you forward. Mind: The stream of information you bring into your mind feeds your loves. Would you hire yourself as your mental body guard? Why/Why not? Strength: Eating habits, Sleep patterns, Exercise, Sabbath Rest…Do you understand the influence of your Body on your Mind and Heart and Soul?